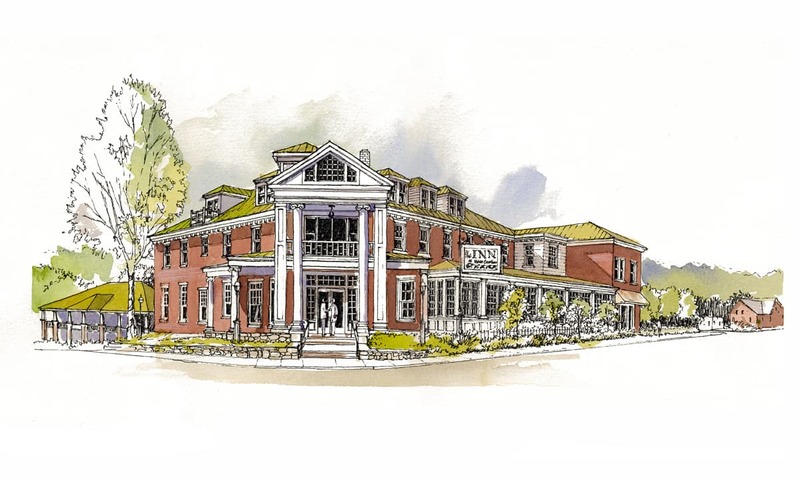 The Inn at Wise consists of four buildings totaling 38,000 square feet located at 110 East Main Street in Wise, Virginia. The main building was originally built as a hotel in 1910 and was named a Virginia Historic Landmark in 1990. This original hotel contained 39 guest rooms each with a private bath, a lobby, ballroom, dining area and an enclosed front porch. The goal of the renovation and remodeling work to be performed on this property included restoration and repair, to preserve the historic architectural character of the buildings, to create a cohesive appearance for all four buildings and to update these structures to current code standards and add amenities to enhance guest comfort. The restoration and reuse of the Inn at Wise was a vital component in the effort to revitalize the economy in this region. 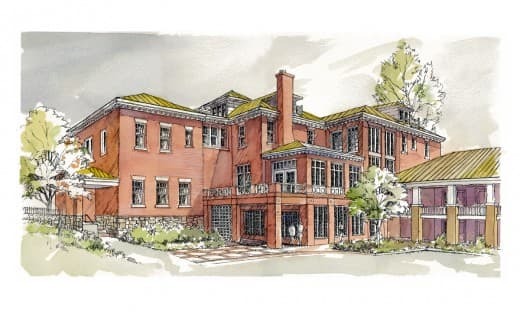 Samsel Architects worked to develop schematic floor plans and site plans as well as exterior elevations and perspectives to allow the owners to present the design to various stakeholders.